Here we formulate some major open problems for minimal surfaces, mostly in the context of Plateau’s or Douglas’s problem. Many of them are unsolved since a long time, see e.g. J.C.C. 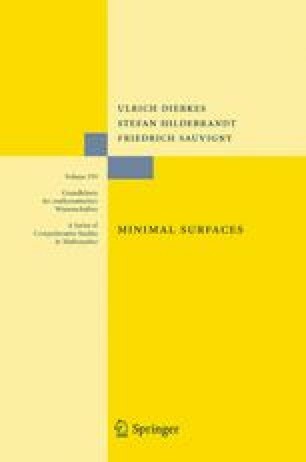 Nitsche (Vorlesungen über Minimalflächen, Springer, Berlin, 1975; Lectures on minimal surfaces, vol. 1, Cambridge Univ. Press, Cambridge, 1989).